James Bond loves a phone that records in 4K. 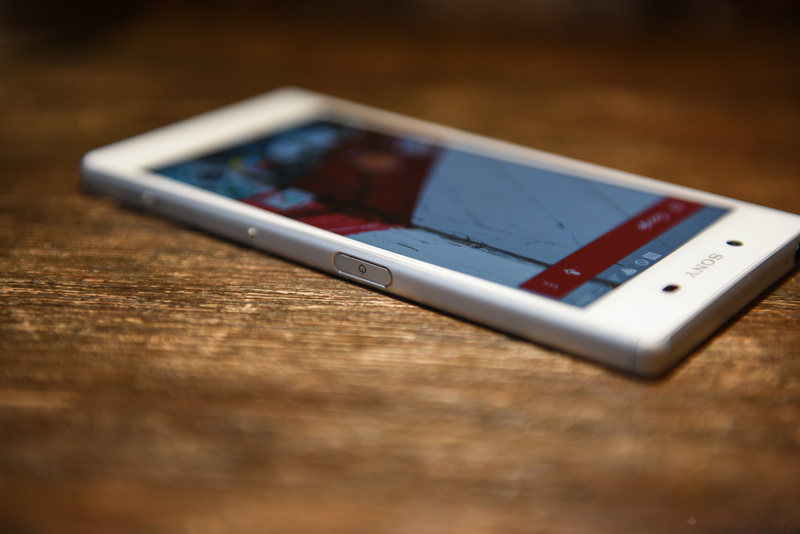 The Xperia Z5 is Sony’s latest flagship smartphone, available at Bell starting today. The 5.2-inch Android device, originally announced at IFA in September, runs Android 5.1.1 Lollipop, features a Snapdragon 810 processor, 3GB of RAM, 32GB of internal storage, a 23MP camera with an F2.0 lens, a 5MP front-facing camera, and a 2,900mAh battery. There’s also a fingerprint sensor on the side-mounted power button. While the phone recalls Sony’s previous Xperia designs, it features an exposed microUSB port on the bottom and a tempered glass backing, all while maintaining the company’s water and dust resistance. Though Sony no longer recommends that you dunk the phone in water, it is still rated IP65/IP68, which allows it to be submerged in liquid. Your mileage may vary. As for pricing, Bell is offering the Xperia Z5 in two colours, charcoal black or frosted white, for $199.95 on a 2-year contract, or $649.95 outright.